Becky Kelch, Bob Kelch’s daughter, has been in the hardwood flooring business for 20 plus years. Her expertise lies in customer relations with home owners, builders, and designers. The hardwood flooring business is in her blood. 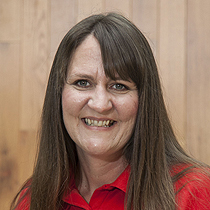 Becky is very knowledgeable and can help you determine what your hardwood needs are. 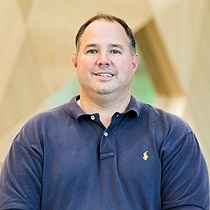 Bill Kelch, Bob Kelch’s son, has an astonishing 30 plus years of experience and is a 5th generation Kelch in the hardwood flooring industry. Bill is more than a craftsman – he is an artist. You can see some of his designs in our gallery and on our Facebook page. 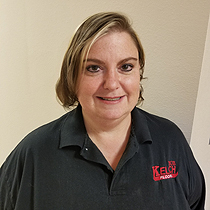 Thea has been with Bob Kelch Floors for over 15 years. She is ready and waiting to help you get your services scheduled. Thea will also help you with any accounting needs. 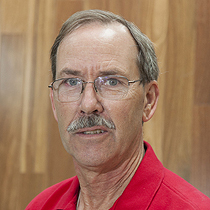 Fred has been a part of Bob Kelch Floors for over 30 plus years! His expertise lies in custom trim and repairs. For many years, Fred has worked one on one with customers to help guide them to the the best solution to any issue they may have encountered. Ted Plotkin is a true flooring expert. 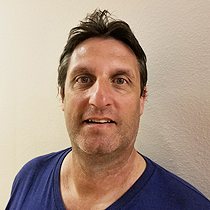 Third generation in the flooring business from a very young age he was taught the details of the business from proper warehouse work, technical installation, to now running one the most successful flooring businesses in Central Illinois. Along with the above named, Bob Kelch Floors has an entire crew willing and ready to help you turn your dream of beautiful hardwood flooring into a reality. Bob Kelch Floors is proud to state that with all of our employees we have over 185 years of flooring experience. After a hundred years of our doors being open, we believe when it comes to hardwood flooring there is no other company in this field who is able to provide the same expertise as Bob Kelch Floors. We have professionals at your disposal ready to make your hardwood floors beyond breath-taking. Ready to make your hardwood floor dreams a reality? Click here to Request a Quote today! One of our representatives will contact you right away.